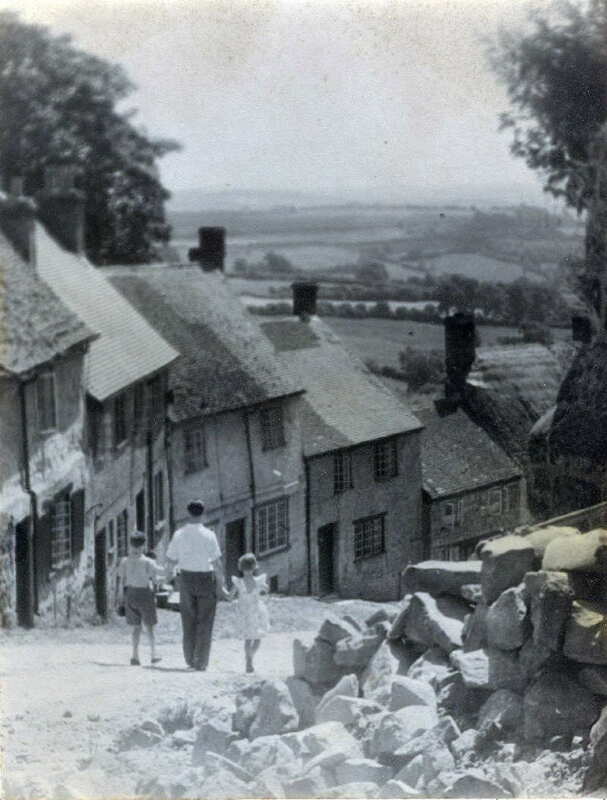 Do you know when this photo of Gold Hill was taken? A rummage in the digital archives of Gold Hill Museum has turned up a photograph of fallen masonry on Gold Hill. Unfortunately the photograph has no provenance and so far no-one has been able to shed any light on when and in what circumstances it was taken. The style of dress might suggest the 1950s. Rob Frost of Orion IT, who came across the image while redesigning the Museum website, has a collection of postcards of Gold Hill over the years and says that buttresses can clearly be seen leaning over in the early cards. Please email enquiries@goldhillmuseum.org.uk if you have any relevant information.